The good news is that I indeed *have* some time left in the week to work on other stuff, and this week I’m starting on something new! A little while ago I got myself some lovely Scheepjes Verona yarn, because… Well, because of obvious reasons really! This yarn is very funky and colourful, with lovely shiny bits woven in. 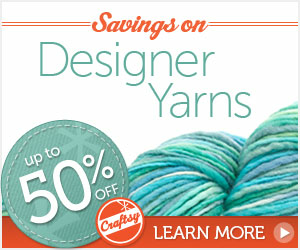 The yarn goes from thick to thin, so anything you make with it will look completely awesome. But that’s my personal opinion though. I’m using a 7mm hook with it; it’s this lovely sparkly number from Addi that I had lying around. For a plastic hook it’s actually quite comfortable! I think it’s because the size is rather large that it’s so comfortable; only the really tiny hooks make my hands hurt (so I avoid those like the plague!). What’s also really cool about this yarn is that each skein looks completely different, when it’s the exact same yarn! Oh, those colours… Be still my beating heart! Alright, I’m off; I’ve got about a gazillion deadlines, unfortunately all with my name on them ;) I’ll see you Friday for part II of the Scheepjes CAL 2014! Très jolie laine, chaleureuse et douce !!! Oh this yarn is beautiful! Can’t wait to see the finished garment! That is a beautiful,colourful yarn which you have selected .Good luck with your project. very beautiful colours ! i love it ! Vite vite je suis impatiente de voir cela car la laine est superbe !!! Ou avez-vous acheté cette superbe laine ? Wat een prachtig garen! Zulk garen kan ik ook nooit weerstaan… Alleen weet ik daarna nooit zo goed wat ik ermee zal maken, dus ik ben benieuwd wat het bij jou wordt! Veel haakplezier! Wat een prachtig garen !! Ben heel benieuwd wat je ermee gaat maken !! :o)!!! Beautiful yarn…can this be sent to USA and where can I get?